Lancaster Homes is pleased to offer luxury homes from our current inventory in Houston, Texas. If you prefer a custom home, inquire about our available lots in Candlelight Place. A beautiful subdivision in Houston's Oak Forest, this close-knit community resembles life in the suburbs, yet is conveniently located just outside the 610 Loop and only minutes from downtown Houston. 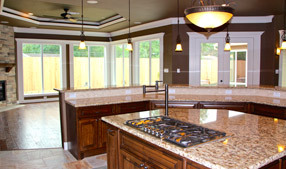 Lancaster Homes is a family-owned business of Houston home builders. From the location, to the floor-plans, construction and amenities, every detail in a Lancaster Home forms part of an overall lifestyle design. "We purchased our Lancaster Home at Candlelight Place two years ago, and we love it. 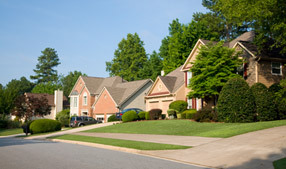 We love our neighbors and can't recommend Lancaster Homes and the Candlelight Place neighborhood enough." As Houston home builders, the Lancaster Homes legacy is one of building history. Lancaster Homes is a family owned and operated business created by Eddie Franz in 1974. We are three generations of home builders in the Houston area. 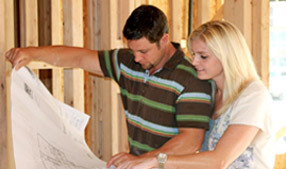 We have an unparalleled expertise in the homebuilding industry and a pride in our craftsmanship. Lancaster Homes constructs luxury homes with guaranteed customer satisfaction. You can feel confident that Lancaster will build your new home with high-quality materials and skilled craftsmanship second to none.